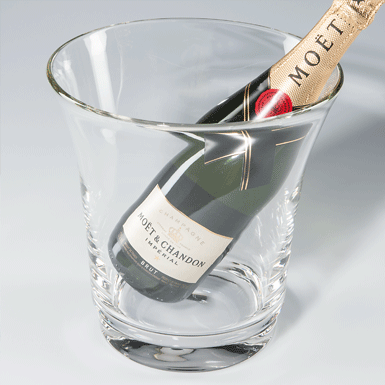 A wine or champagne cooler with a classic shape. Solid glass for a special occasion. Mouth blown into the mould.